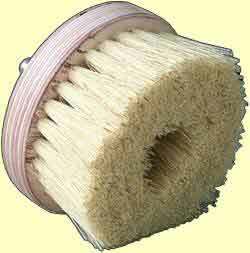 Quality bristle wax buffing brush, with handle. 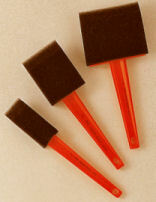 Shaped bristle profile for difficult to reach areas. 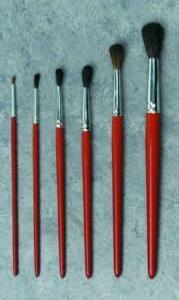 Bristle brush for application of hot or cold glues, particularly PVA and pearl glues. 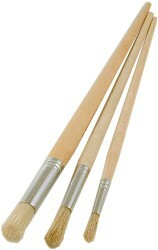 Seamless metal ferrule with solid beech handles. 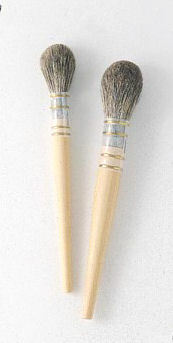 Dense bristles are bound with a wired bridle for added strength. Soft hair mix general artists brush. Cherry polished wodden handle, metal ferrule bound. 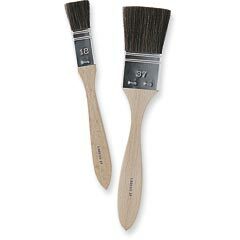 Good quality bristle brush for general application of paint, varnish, oil finishes, stains etc. 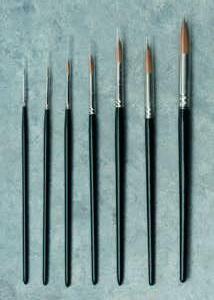 Traditional artists flat and round fitches, made from quality hogs hair, bound in a metal furrule. 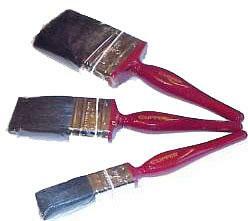 Can be used for opening the grain up prior to applying liming wax, or for paint or varnish stripping.